• Lichtbruin = National Park. .. Brecon Beacons National Park. ......................................... ( the next step down from a National Park). ......................................... 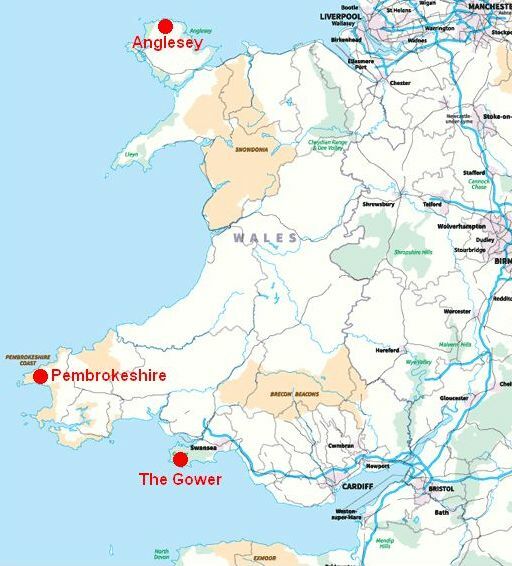 The Gower AONB . en . 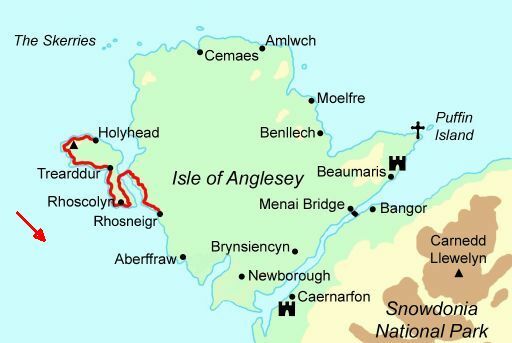 Anglesey AONB. ...... 32. 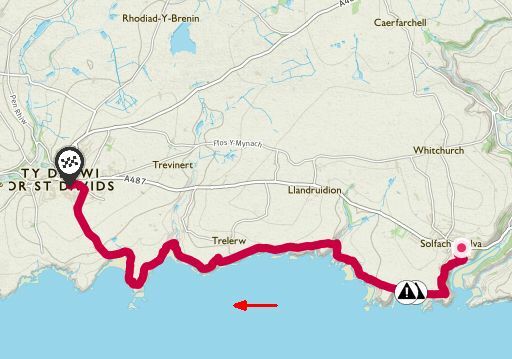 Anglesey Coastal Path. plus sandy bays and a few lanes. 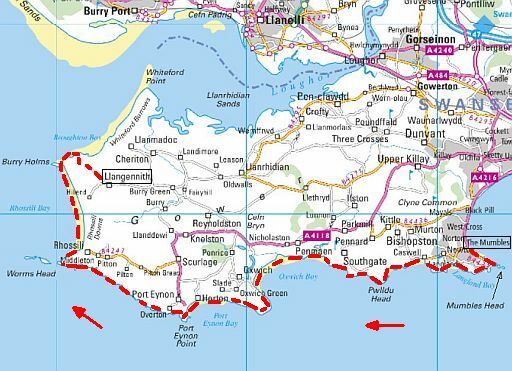 • The northern coast forms the basis for this walk. 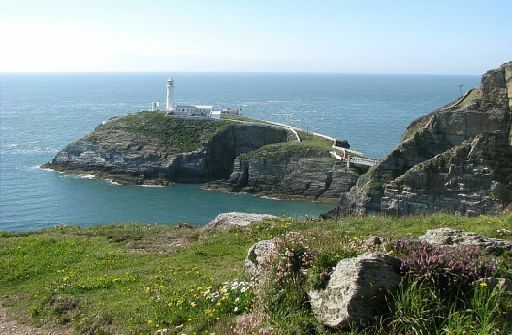 .. the Cemlyn nature reserve and Point Lynas lighthouse. 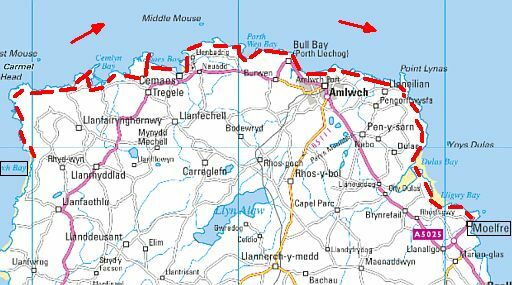 • Amlwch is about halfway, and has hotels and B&Bs. 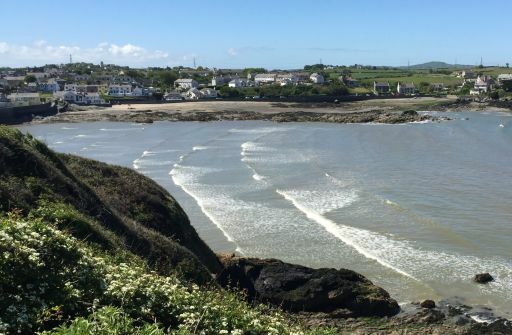 • Looking down on Cemaes Bay. interspersed with pleasant sandy bays. .. of the offshore islands where the birds congregate. .. development extends up onto the plateau. .. into the harbour, both at low and high water. 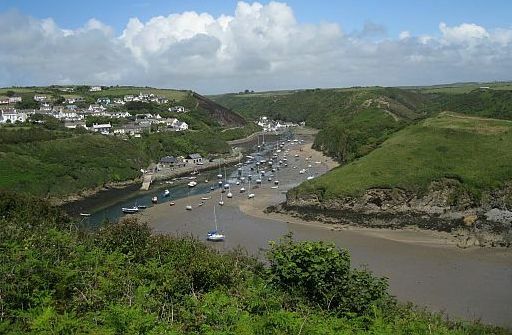 • In the 19th century, Solva had around 30 registered trading ships. the pastel painted village of Solva. 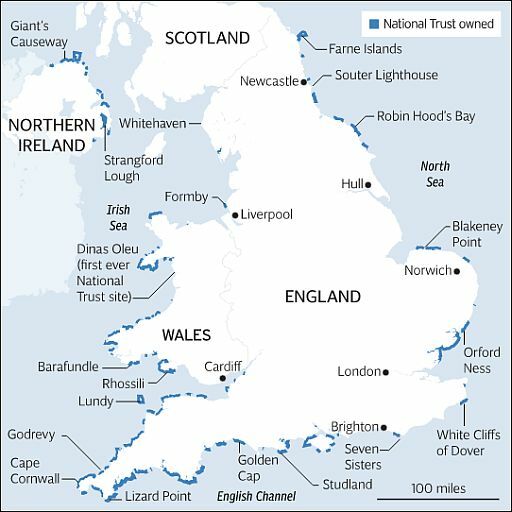 Take time to explore the harbour and unspoiled coastline. 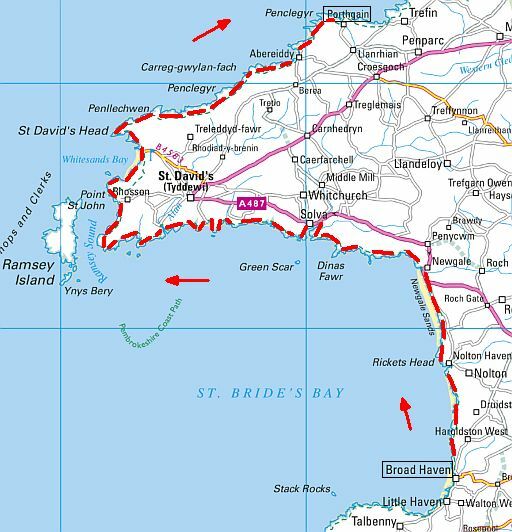 For a longer walk, head for the UK’s smallest city, St Davids. .. die er mooi op aansluit. .. sunny disposition and kilometers of golden sand. .. recognition of its natural diversity and largely unspoit habitats. 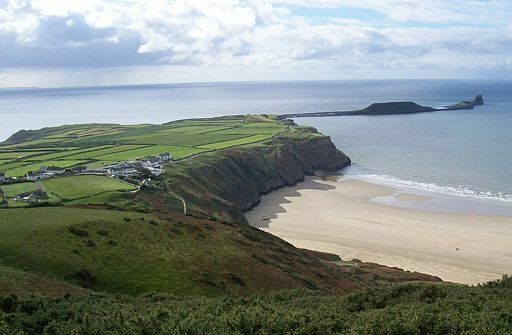 • Worms Head & Rhossili Bay. 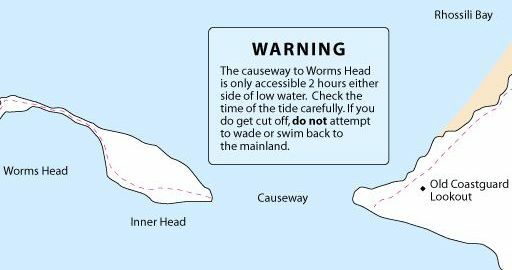 • Worms Head derives its name from the Old English wurm meaning dragon. Visit when the sun is shining and you’ll be treated to sparkling blue-green water and miles of sand. 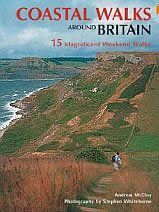 There are various trails offering fantastic views and a landscape rich in mythology and history. 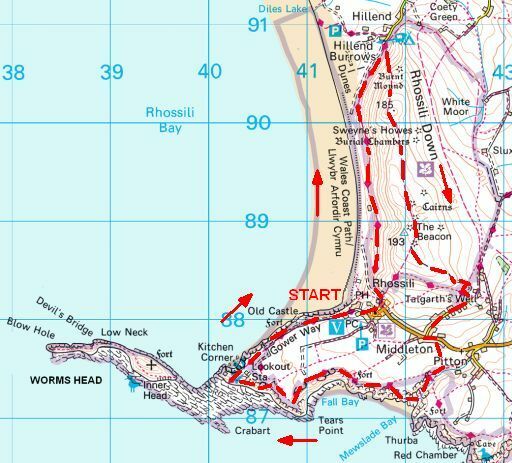 • Start and finish: Rhossili. which would change the character of the coast forever. of beach, cliff, estuary and bay from development or destruction. 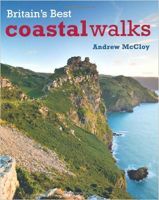 ...staande.. wandelboeken van Andrew McCloy.